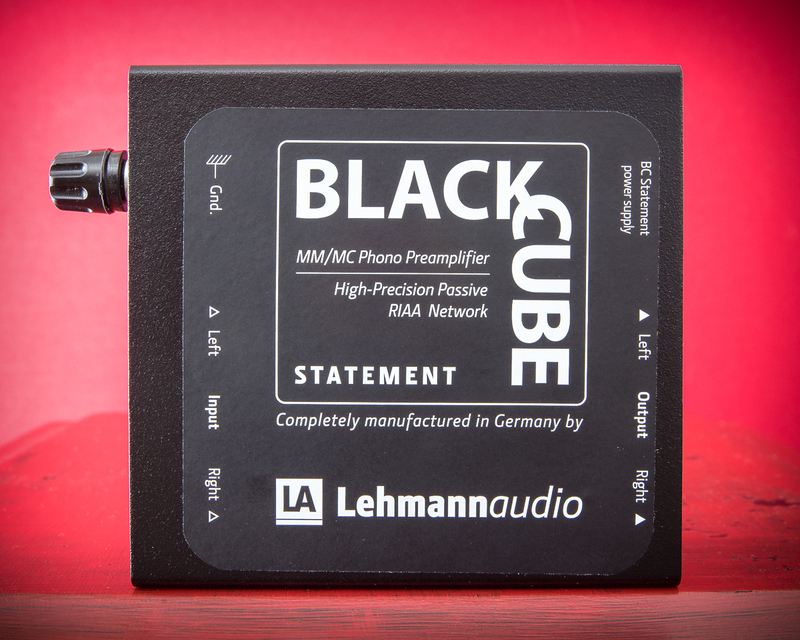 The Black Cube is one of those products that gives music lovers a reason to rejoice when looking to jump into high fidelity without costing an arm and leg. 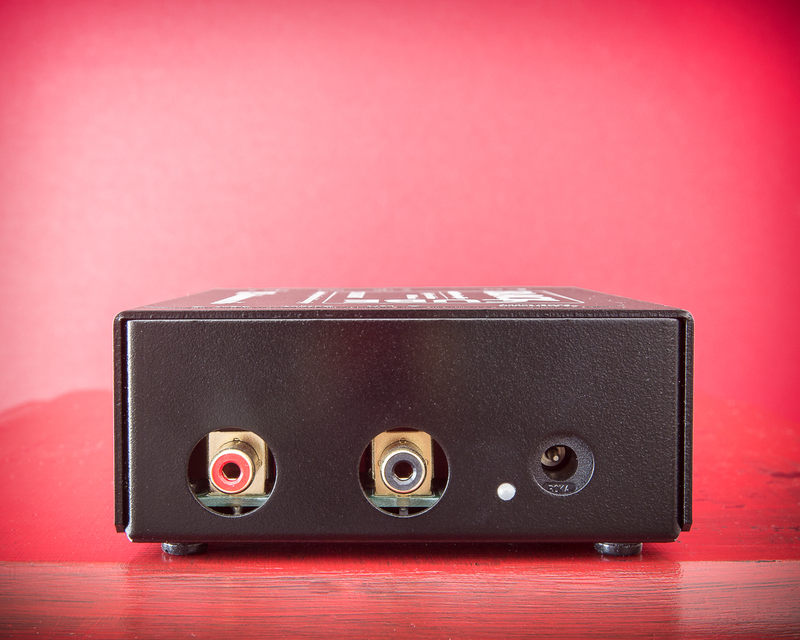 Across the entire audio spectrum, this little black box does just about everything right. With a good selection of loading options as well as gain that supports just about every cartridge on the market, this is one heck of a great choice for those looking for getting a great phono preamplifier without breaking the bank. Recommended. 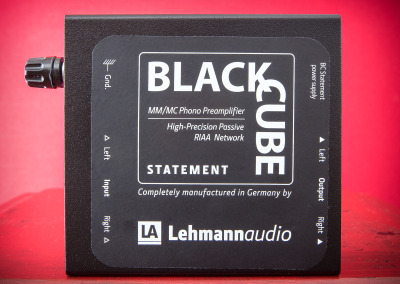 The Lehman audio black cube statement is a high end moving magnet and moving coil phono stage that offers a solid aluminum enclosure, high quality gold plated rca connectors and an external power supply. 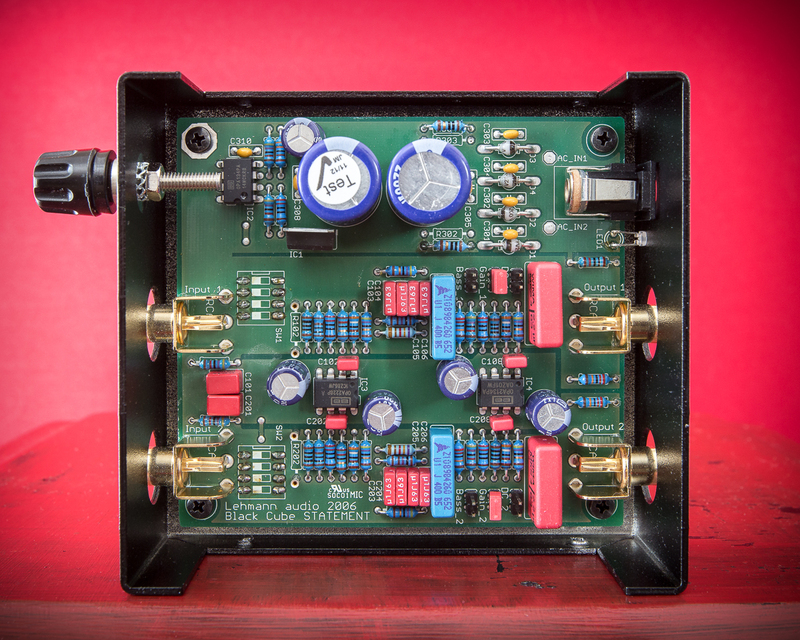 Input amplifier gain stage is handled by burr brown 2228 dual op amps and features a passive filter network between the amp stages which eliminates phase issues found in some active designs. 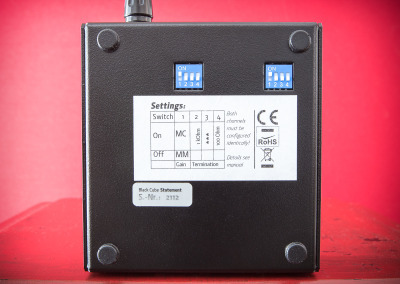 The external power supply can placed up to two meters away from the audio section which does help with reducing noise… keeping the bad stuff out and good stuff in… just the way we like it. For the most part, this is a pretty boring little box and won’t be something that your friends would be jealous of but let me be the first to say, looks can be deceiving and this little monster proved to me that it had alot more to offer than I expected or hoped for. 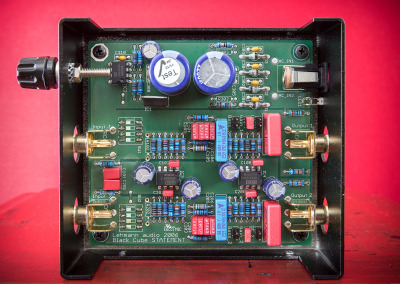 Ok, so I have heard some pretty nice phonos since I started new record day and having moved from my built in phono section of my rogue straight to the JC3, I really missed the boat of whats in between… can a $450 phono preamplifier REALLY keep the most demanding audiophile satisfied without the desire to upgrade? 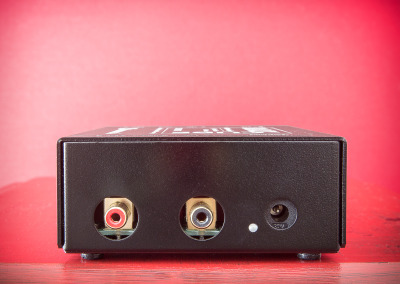 I really had to take a step back and do some comparisons with this little black box that actually made sense so I started with the 2M Red and compared this with my Rogues phono section. Right off the bat, I can assure you with full confidence that the Lehmann was quieter and seemed to have more to offer in the bass region. 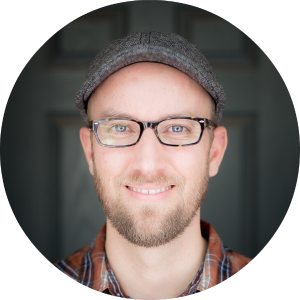 As I listened more and more to the Lehmann, I realized something strange was happening and that was the realization that I didn’t miss having my JC3 plugged into my system. Tossing on The Jackson 5s ABCs proved to me that while the statement doesn’t cross the finish line of detail being first place, it certainly didn’t quit the race half way through. Anything that was well recorded really popped and from top to bottom, the black cube does just about everything right. As I changed cartridges and tossed on my Grado platinum 1 experienced the same thing all over again, great sounding music with very little to complain about especially at the asking price. 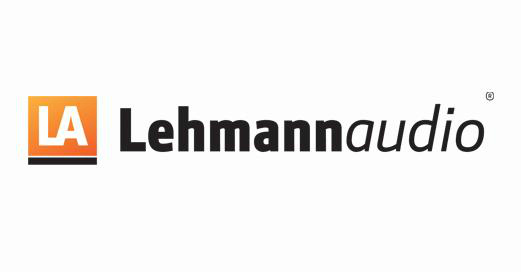 Treble on the Lehmann Audio would be its weakest link in my listening tests but certainly didn’t make me uncomfortable enough to spend the next 45 minutes rambling on and on about it. While listening to a couple tracks, I just noticed there was less detail than I was hoping for and sometimes a little exaggeration in cymbal hits and splashes where things just lost a little control. However, this was rare and really was material dependent so take this criticism with a grain of salt. Midrange was good enough to please me in every possible way ranging from vocals to electric guitars. The lehmann brought warmth when needed never sounded thin, boring or grainy. Details on acoustics were there and listening to ben howards every kingdom was a listening session I would be happy to repeat over and over without ever feeling the need to get up and do something else. Thats right, the Lehman gets your attention and holds it. Bass is where this guy really likes to kick things up and it surprised me just how much horsepower is under the hood. 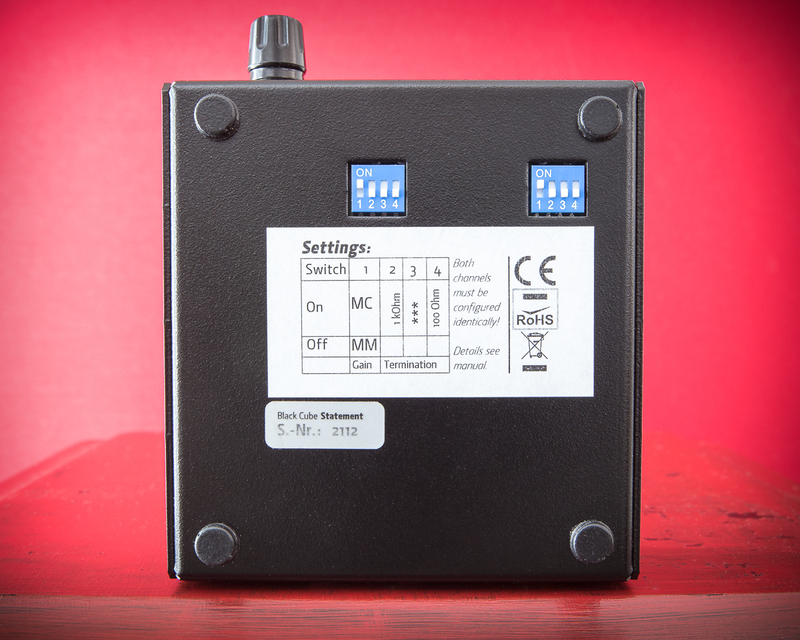 While my JC3 offers 47db on the mm setting and the recently reviewed pass labs XP15 jumps in at 46 this little box shocked me at just how reasonable it is to have 41 to work with. The 2M red is a pretty hot cart at 5mvs and the jc3 actually clips the heck out of that thing making it tough to use unless that signal is slamming into some tubes to soften the blow.